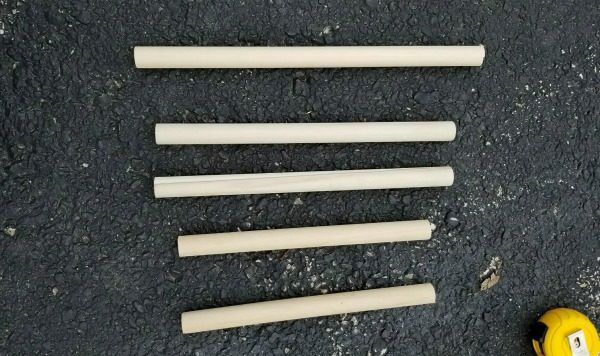 Looking for an easy outdoor game to play this summer? 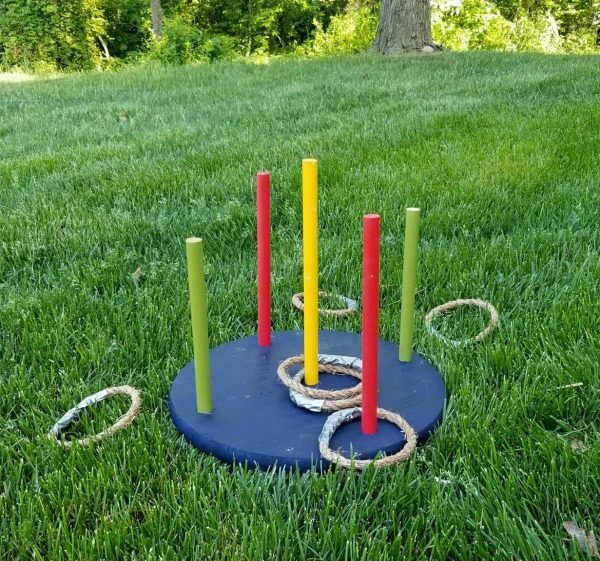 Then you’ll love this DIY Ring Toss Game. 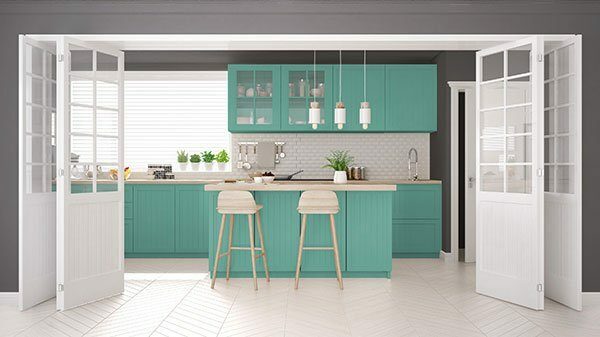 It’s easy to make and fun for the entire family! I’ve got another fabulous outdoor game for you today and this one might be the easiest one yet. 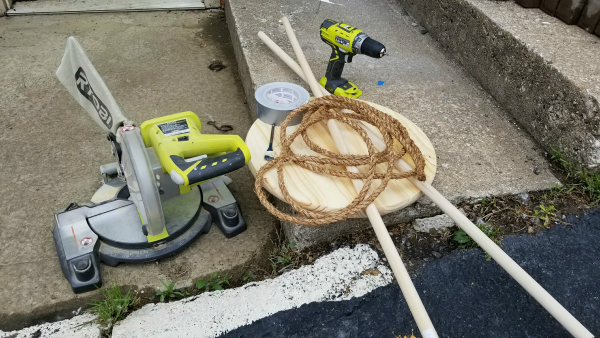 Today we’re making a Backyard Ring Toss Game. This is another great game to add to your outdoor game collection. 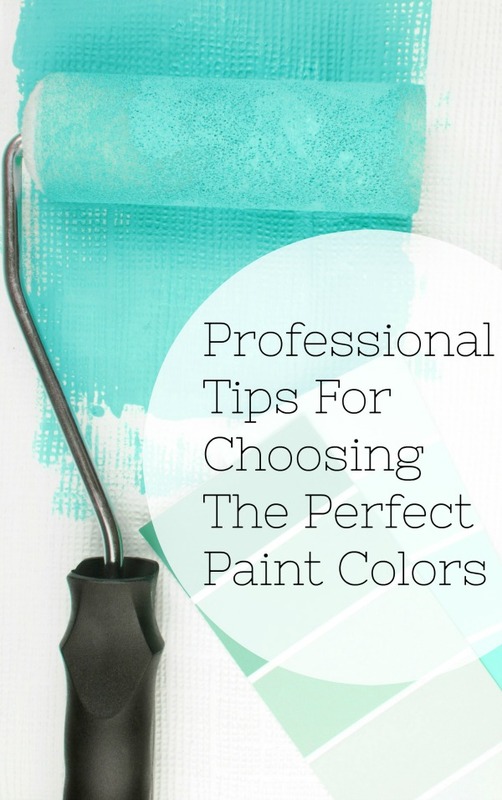 Step 2: Using a sharpie, mark the location of the holes. 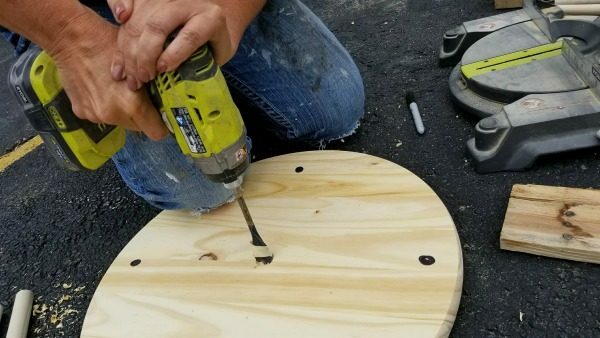 Step 3: Drill 5 holes in round board using the 7/8″ paddle drill bit – one whole in the center and 4 holes along edge of board. 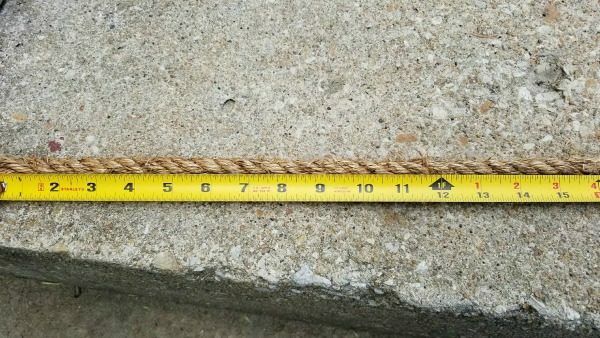 Step 4: Cut 8 pieces of rope to 16″. Using duct tape, fasten the ends together to make a ring. 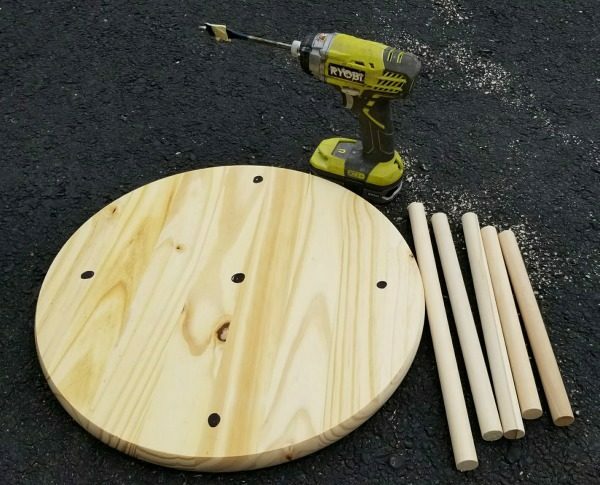 You can also use pool rings instead of making your own. 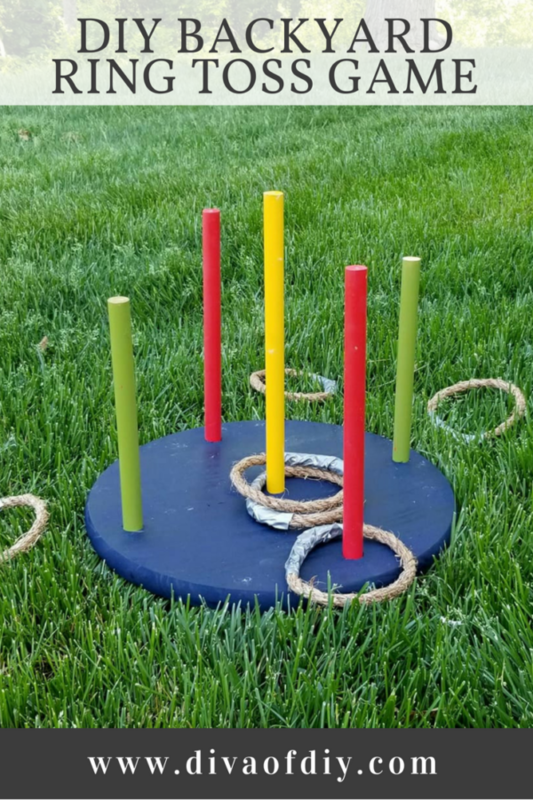 Now, it’s time to invite all your friends and family over so everyone can play Outdoor Ring Toss together! 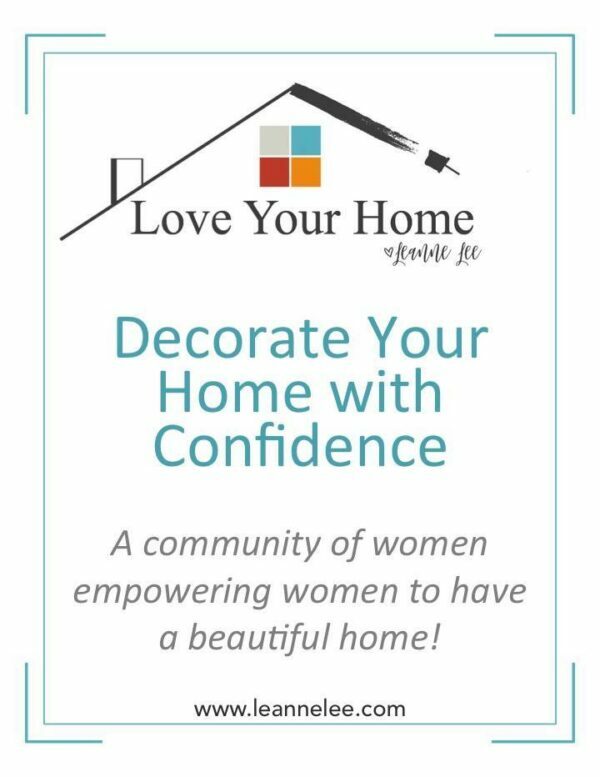 This is especially great if you have younger children that want to join in on the fun because it’s perfect for kids of all ages – both young and old.